According to the National Highway Traffic Safety Administration (NHTSA) in 2016 more than half of the motor vehicle deaths involved a single-vehicle crash. In addition, in New York State there were almost 700 deaths as a result of a single-vehicle crash. A motorist striking an animal such as a deer. Hazardous road conditions such as a pothole. In addition, it is important to note that potential defendants in these cases are often municipalities and that the time to file against municipalities is often 90 days of the date of the accident. 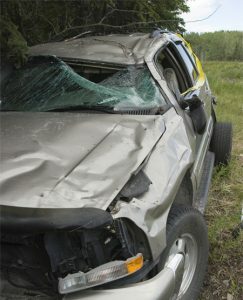 If you have been injured in a single-vehicle car crash, it is important to contact an experienced motor vehicle accident lawyer who can advise you of your legal rights and remedies. The lawyers at Levine and Slavit, PLLC assist clients in collecting the damages they need to cope with being involved in an accident on the road. For more information or to schedule a constulation with our New York auto accident lawyers, call (888) LAW-8088 or fill out our contact form. Previous Previous post: Some Doctors Can Cause Pain in the Buttocks!